If you're searching for new 2018 cars for sale in Baton Rouge, Louisiana that can handle your towing needs with ease, head to All Star Chevrolet today! We'll introduce you to the powerful 2018 Chevrolet Silverado 2500 HD truck that is now available, and the impressive warranty that comes with it. 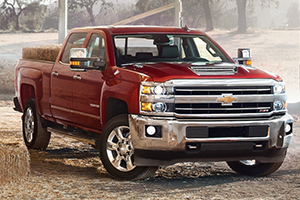 As your local Chevrolet dealership, we pride ourselves on our comprehensive auto experiences that include financing services and encourage you to make your way over from Central, LA to see all that a Silverado 2500 HD can do for you. That the 2018 Chevrolet Silverado 2500 HD has to offer, so don't hesitate to visit our new and used dealership in Baton Rouge, Louisiana today! From its EchoMaster® Trailering Camera System to its Android Auto™ and Apple CarPlay™ capabilities, a new 2018 Chevy Silverado 2500 HD from All Star Chevrolet delivers! Visit our dealership to explore the Chevrolet MyLink display that uses Bluetooth® technology to keep you connected and informed and be sure to ask about the built-in 4G LTE wi-fi that is available. There's even a mobile app that ensures drivers can stay connected to their Silverado 2500 HD, so feel free to get your truck search started right here on our interactive website! 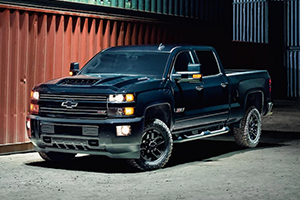 TDesigned to prevent collisions, protect occupants and respond to accidents should they be unavoidable, the 2018 Chevrolet Silverado 2500 HD provides motorists with the peace of mind they're searching for. Forward Collision Alert, front and rear park assist, Lane Departure Warning and the Safety Alert Driver Seat help you navigate the roads of nearby Central, LA while the ABS brakes with Duralife™ rotors work to keep you in control. Contact our Chevrolet dealership to learn how you can add on OnStar®'s Automatic Crash Response system or to ask about the six strategically placed airbags your Silverado 2500 HD can boast! Our new and used Chevy dealership in Baton Rouge, LA offers professional sales, service and financing, so contact us to not only find and finance a 2018 Silverado 2500 HD but to keep it running smoothly over the years!